GERARD MCKERR, ONE of the “Hooded Men” whose treatment during interrogation in Northern Ireland in 1971 is subject to a case before the European Court of Human Rights, has died. The men have argued that their treatment at the hands of British authorities in the 1970s amounted to torture. The 14 men were arrested during internment in 1971 and removed for special, so-called ‘in-depth interrogation’ where they were subjected to a “psychological attack” according to an army directive. An original case saw Ireland take the UK to court alleging that it had breached the European Convention on Human Rights. The ECHR decided in 1978 that five interrogation techniques inflicted on the men constituted inhuman and degrading treatment and were in breached the convention, but were not torture. An RTÉ documentary last year prompted the government to bring another case. Email “Gerard McKerr, one of the "Hooded Men", has died”. 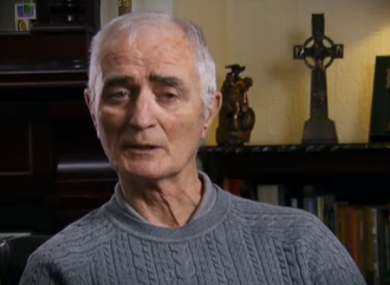 Feedback on “Gerard McKerr, one of the "Hooded Men", has died”.